Want more? Browse our full list of Shakespeare Unlimited episodes. Tracy Chevalier, author of Girl With a Pearl Earring, takes on the tragedy of Othello in her latest novel, part of the Hogarth Shakespeare series. But in a twist, she moves the action to a public elementary school playground in Washington, DC, in the early 1970s. The book, titled New Boy, uses its distinctive setting to explore issues of discrimination, betrayal, alienation, and jealousy. In this episode, Tracy talks about the book, her inspirations, and the challenges of working with, and under the shadow of, Shakespeare. She was interviewed by Barbara Bogaev. Listen on iTunes, SoundCloud, Google Play, and NPR One. From the Shakespeare Unlimited podcast series. Published May 31, 2017. © Folger Shakespeare Library. All rights reserved. This podcast episode, The Property of Youth and Maidhood, was produced by Richard Paul. Garland Scott is the associate producer. It was edited by Gail Kern Paster and Esther Ferington. Esther French is the web producer. We had help from Melissa Marquis as NPR in Washington and Angie Hamilton-Lowe at NPR-West in Culver City, California. MICHAEL WITMORE: An African—living in a place where some see him as the Other—is disliked but talented. He falls for a local girl, leading to jealousy and violence. To anyone who knows Shakespeare, it will all sound familiar. Until I tell you that almost everyone involved is 11 years old. From the Folger Shakespeare Library, this is Shakespeare Unlimited. I’m Michael Witmore, the Folger’s director. In the latest installment of the Hogarth Shakespeare project, novelist Tracy Chevalier—author of Girl With a Pearl Earring—takes on the tragedy of Othello. But in a twist, she moves the action to a public elementary school playground in Washington, DC in the early 1970s. The book, titled New Boy, uses its distinctive setting to explore issues of discrimination, betrayal, alienation, and jealousy. Tracy came in recently to talk about the book, her inspirations, and the challenges of working with, and under-the-shadow of Shakespeare. We call this podcast “The Property of Youth and Maidhood.” Tracy Chevalier was interviewed by Barbara Bogaev. BARBARA BOGAEV: Tracy, there are so many ways you could go with this Hogarth commission. Why did you pick Othello? TRACY CHEVALIER: Well, they told me I could choose any play I wanted, apart from a couple that had already been chosen by other authors. And my first thought was to go for Romeo and Juliet, because that was the first Shakespeare play I had loved and gotten to know when I was 13 and studied it. And, but my teenage son, very wisely, I think, said, "Oh, Mom, no. Don't do Romeo and Juliet, everybody's done Romeo and Juliet. That's so hackneyed." And I thought, yeah, he's right. And actually, even more than that, I wasn't sure I wanted to explore sort of obsessive teenaged love. And, I chose Othello, I think because it's the quintessential play about an outsider, and how society treats that difference. I myself have—am American but I've lived in England for over 30 years. Although, as you can hear, I still have very much an American accent. And when I meet somebody I don't know for the first time in England, they often say, "Oh, are you here on holiday? Are you a tourist? When are you going back?" And so I've always felt ever so slightly apart from the society. And I thought, that was what appealed, for me, to explore that in a different set of circumstances and for different reasons. BOGAEV: So from the start you related to this idea of the other, and racial issues? Did you also have a feel for that? An affinity? CHEVALIER: Yes. I grew up in Washington, DC, and the school I went to happened to be mostly black. So, you know, of a class of 30 kids, there'd probably be maybe three or four white kids. And so, I had some personal experience of that. Although, I would say that my experience was nothing like Othello's in New Boy—his name is Osei—and because although I was in a minority, I was in the school, I was in the majority in the wider society. And, Osei in the book is—he's a black boy who walks onto an all white playground. But also, society in the outside of the school is also mostly white. The new boy was not watching the merry-go-round, but studying the L-shaped building. It was a typical suburban elementary school, built eight years before, and looked like two red-brick shoeboxes unimaginatively shoved together. CHEVALIER: I had never written about my experience as a child, and I thought that it would be a good way to go back into that. When Dee had started kindergarten it still had a new building smell to it. Now, though, it was like a dress she had worn many times, with its tears and stains and marks where the hem had been let down. She knew every classroom, every staircase, every handrail, every bathroom cubicle. She knew every foot of the playground too, as well as the younger students' playground on the other side of the building. BOGAEV: And where it becomes kind of a thing. CHEVALIER: Yeah, it becomes a thing, and everybody tries it out. But really at that age, what it means is, you stand around looking embarrassed, not really talking. Not really touching. Maybe hold hands. Your friends make fun of you and you may get together at morning recess and then by lunchtime you split up. And I thought, I'd like to try that out with Othello, because I think it all moves so fast—going from love to jealousy to tragedy—that it would make sense to have 11-year-olds do this. BOGAEV: That's true, it has this tremendous, immature velocity, it seems like. CHEVALIER: Yeah, I heightened that by deciding to set the story all over the course of one day. And, so it just before school begins, Osei Kokote—he's a son of a diplomat, and they've moved to Washington, he lives in a suburb—and he walks onto the playground, and it's an all-white playground, and it's sort of what happens to him over the course of a day. He was moving now, not like a bear with its bulky lumbering gait. More like a wolf or, he tried to think of dark animals. A panther, scaled up from house cats. Whatever he was thinking, probably about being a new boy on a playground full of strangers the opposite colors from him, he padded toward the school doors where the teachers waited, with the unconscious assuredness of someone who knows how his body works. Dee felt her chest tighten. She drew in a breath. CHEVALIER: It's slightly different from Othello in that the play begins with Othello and Desdemona have just married. You don't see the buildup of their relationship. They're already together. You just hear about it. I decided I was going to compress it all into one day. In order to make us feel more invested in Osei and what happens to him, we need to be introduced to him at the same time as the other kids are. CHEVALIER: What Shakespeare play was it, that the adapter adapted? BOGAEV: It was The Winter's Tale. CHEVALIER: Ah. Yeah. Right, right. Yeah, tricky play to adapt. BOGAEV: So you didn't feel that way? CHEVALIER: I did, actually, if it's possible to criticize Shakespeare. I feel a little bit bad, when I'm about to do an event at the Folger Shakespeare Library, and say Shakespeare had his bad moments too, but, one of the problems I see with it is that the women are underwritten. Both Desdemona and Amelia, the servant. Their parts are so small and I wanted to build them up a little bit. Dee had fallen off the swings, torn her tights on the slide, gotten stuck at the top of the jungle gym when she became too scared to climb down. Once she had declared one half of the playground 'Girl Town,' and she and Mimi and Blanca and Jennifer had chased away any boy who dared to cross the line. She had hidden with the others around the corner near the gym entrance, where teachers on duty couldn't see them, and they could try on lipstick and read comics and play spin the bottle. She had lived her life on the playground. Laughed and cried and had crushes and formed friendships, and made few enemies. It was her world. So familiar, she took it for granted. In a month, she would be leaving it for junior high. Now, someone new and different had entered the territory, and this made Dee look at the space anew, and suddenly find it shabby. And herself an alien, in it. Like him. BOGAEV: —draws her to him and who she is. CHEVALIER: Yeah. Yeah. And it was important to me to start the book with her, because—at least with one of the girls, so that they get more of a voice and a place in the story. And that was really important for me. And that, you know, the thing about Othello, when people see a production of it, we tend to think of it as Iago's play. And, with a novel though it's different, and I found by giving the girls more time, I started making the play into a novel that was more about the community and its response to this new boy, rather than it being Iago's story. And so Ian, who's Iago in New Boy, he's the school bully and you get a sense of him manipulating things, but it's not just about him. And that wasn't a criticism of Othello, it's simply that I felt what was more important to me was to explore this idea of how we treat outsiders and where we learn that behavior from. BOGAEV: No, another thing that our playwright adapter said was that they all had different approaches to how they were going to interact with the actual text. And some of them went back and reread it some of them said, "No, I'm not going to read it." How did you think about that? CHEVALIER: Yeah. The first decision I made was, I was not going to try to imitate Shakespeare's language in any way. There was no way I could do this. His metaphors, the words he coined. It would just be impossible to do it, and I thought the best thing for me is just to step back respectfully from the language and just tell the story quite simply in the way that I would normally tell it. You don't want to be completely beholden to the play. So I read Othello, and then I read it again. So I read it twice. And then I set it aside, and I hardly looked at it after that. For the most part I thought, I don't want to take the play and be absolutely, you know, “This happens in Act 1, scene 2, so I've got to make this happen in New Boy.” I didn't do that, except for a couple of places. So, possibly there are two very famous moments in Othello, but one of them is when Iago starts poisoning Othello's mind with this idea that Desdemona has betrayed him and is sleeping with Cassio. And this happens midway through Act 3. And, so midway through the third section of New Boy, Ian and Osei are on the playground and Ian says something, and so it begins. And there's a kind of drip feeding of this jealously and manipulation. And then another famous scene is in Act 4, Desdemona has been hit by Othello in public. And she then goes off to get ready for bed, and Amelia is with her, her servant, who's a friend as well. And, they, as she's getting ready for bed, they sing a song called The Willow Song, and I thought, I really want there to be a song in here, a moment that these two have together. And so in New Boy, Osei pushes Dee and she hits her head on the playground, and she has to go to the school nurse, and Mimi accompanies her. And, the radio station is playing. Roberta Flack's "Killing Me Softly" comes on, and they start to sing along to it. There were—so I did take very specific moments, but there are other things there that I absolutely got rid of, because I felt that, as a script for a theater company to put on a production, it was meant to fill three hours. The audience was expecting certain things, lots of fights, lots of mistaking one person for another and coincidences. CHEVALIER: And songs, too. Songs, as well. CHEVALIER: And those sort of things don't necessarily translate well to a novel. BOGAEV: There is a tricky element of the story that you chose to leave out entirely, which is that Othello was a warrior. He was valued by the senators, and that sets up the situation where the senators may not like him, but they know they need him. CHEVALIER: Yeah. I had to set that aside because I start the book when Osei walks onto the playground and nobody knows him. So he hasn't yet established his reputation. So that we get to know him, and we also get to know his relationship with Dee, from the start. And so, I knew that I had to establish some sort of reputation for him, so that the kids on the playground would have some respect, because the book doesn't really work, the story doesn't really work unless there is some grudging respect for him. And, so he gains that respect through a kickball game. BOGAEV: Another thing was that the teachers throughout the story reference race and make overt racist comments, and I wondered if they represented the senators, in Shakespeare's play, because they do talk so much about Osei behind his back. CHEVALIER: Yes. Yes. And certainly, there's an awful lot of casual racism in Othello, and I have reproduced that, to some extent, in New Boy. And, you know, some of it is stuff I remember from my childhood. Not in my school, obviously, because it wouldn't be that if it's mostly black school, but I remember hearing other things and there was a casualness about racism at the time, in the '60s and '70s, that we would find really appalling now. On the other hand, there's still plenty of casual racism in society today. So, sorry to say that this story probably could be translated into today's times, almost as easily as translating it to 1974. BOGAEV: Well the national conversation is so fraught right now about cultural appropriation and who has the right to tell what stories. BOGAEV: So how did you think about this in your claim to this story of racism among children, given that? BOGAEV: Which you don't have here. CHEVALIER: No, I don't have that here, and so I didn't feel that I could tell the story completely from Osei's point of view. I would love to have that story be told, for instance, from a Ghanaian writer's point of view. It would be, you know, it would be something that would probably feel more authentic than something that I could do. On the other hand, racism is something that affects all of us, and I think that is, it's important for us to address it. BOGAEV: I want to go back to something you said about Iago—your Iago character, Ian—and his motivation, because you flesh out his motivation, you flesh out a little bit of his story, in the novel, and that—there's not a lot of that in Othello. CHEVALIER: Yeah, and that's—I spent a lot of time thinking about this, because, Shakespeare didn't feel that he had to give a lot of backstory. Iago's possibly the most famous instance of that. But some of the other characters in other plays, you don't necessarily know that much about them. And, Iago I think is very powerful, because he has no motivation that we can see. I mean, he says it's because Othello has promoted Cassio over him. And so he's angry from his career point of view. And he also suggests that Othello may well have slept with his wife Amelia. Though he rather throws that one out almost as an afterthought. BOGAEV: Right, and Iago is often described as just pure evil. The embodiment of evil. CHEVALIER: Yeah, and, at the end, when somebody says to him, when the whole plot is uncovered, and somebody says to him, "What are you doing, why did you do it," and he said, "I'm not gonna say another word," and he doesn't. And, so there's this feeling of him holding back, and we never know why, and that's what makes him so powerful. But, translating it into a 20th-century story—you know, readers now, we expect to get some backstory and I wanted to respect what Shakespeare did with Othello, but also, to give something to 21st-century readers. So, with Ian, we do learn two things. One is that he has older brothers who have also been bullies in their time. And the other is that his father, when he punishes him, he beats him with a belt. And so—but I tried to be very light-handed about it, so I just make those two points and leave it at that, I don't try to get psychologically deeper. I just let—that's for the 21st-century reader to decide how far to take that. BOGAEV: Oh, that's interesting. So you're splitting the difference again. Although, you do—there is the sense that because he's a bully, nobody likes him. And then it's kind of self-fulfilling. CHEVALIER: Yeah, and you know it's interesting because in a funny sort of way, he and Osei share something, which is that they're both outsiders. A couple of years ago, when I was—I saw a production of Othello at Stratford in England, by the Royal Shakespeare Company, and both Othello and Iago were played by black actors, and it completely changes the dynamic between them. When Iago sort of spouts his racism, it's like watching somebody demonstrate self-hatred. It was so painful. And it also linked Iago and Othello in a kind of brotherly way, so that they were, you know—when he's being so awful to him, and yet it's like—it's kind of like being awful to somebody you're related to, rather than to a stranger. And it made it that much more painful, and really, really powerful. I mean, I wouldn't want every Othello production to be like that, but I think that's one of the joys of Shakespeare, that you can produce—you can put on many different productions of the same play, and they all bring out some new idea, or new tension, and that's just, you know, that's why, 400 years later, we're still putting him on. BOGAEV: Well, near the end of the book, you also gave me some insight into Iago's manipulations, because you make an analogy between what he's doing on this school yard, and playwriting, that he looks at his handiwork, and the chaos and the violence he's sewn on O and Dee, and sees it as a kind of play. CHEVALIER: Yes. I'm trying to remember whether Iago himself in Othello says anything like that. But, Iago in Othello is very knowing. He's very aware that he's creating situations and it all gets slightly out of his control. I think in the book, I liken it to…he's going down a hill on a bike and it's going a little too fast. Maybe—you know when you're going downhill and you're so fast that you think, “Actually the brakes are probably not going to stop the bike,” so, certainly in Othello, Iago is thinking—he's trying to keep control of the situation but he's always slightly getting out of control and he has to really ad-lib what he's doing and what's going on. And he kind of knows he's going to get caught, and that's part of the exhilaration of it. How is he going to be found out and what's going to happen as a result of it? And there's a bit of that, that momentum, in New Boy as well. BOGAEV: You know, if you hadn't been given this commission, would you have chosen to adapt Shakespeare? Is that something that you would've tried? BOGAEV: Or you always wanted to try? CHEVALIER: I think I would've been terrified. You know it was a—I had to think long and hard because it's quite an icon to take on. And I decided though, that two things made me think that it was possible to do it. One was when I decided I wasn't going to try to replicate the language. The other is that I'm very aware that Shakespeare—even more now that I've written this—that Shakespeare took other stories from other sources for his plays, and he made them—the plays were a kind of template for production. And each production is going to be slightly different and bring out different tensions, different stories, different aspects of the story. And this is kind of just another production of Shakespeare, and there's nothing wrong with that. I don't think Shakespeare would have been offended. I think he'd think that's all part of the business. BOGAEV: Well, when you say though that you didn't want to take on the language, does that mean you didn't change your writing style at all? Because I've read your other books and this seems to—well, at one point I asked myself, is this written for an adult audience or a young adult one? BOGAEV: Well by the time you were done with the book, was there anything that you thought differently about in Othello? Did it change some interpretation of the play for you? CHEVALIER: I… no, I don't think it has. What I'd really like to do is go and see another production, now that I've written it, and see if I look at that differently. I mean, I have to admit, I'm one of those Shakespeare fans who really prefers to see it in the theater than to read it on the page. Plays are written to be performed, not to be read. And, although Shakespeare's language is really beautiful even on the page, I still want to see what happens when you've got real people in front of you putting it on. And so, I'll have to come back and let you know, when I've seen another production of Othello, how I feel differently about it. BOGAEV: I hope you do. BOGAEV: And I hope we get to talk, and I wish you the best with the book. Thank you so much for talking today. 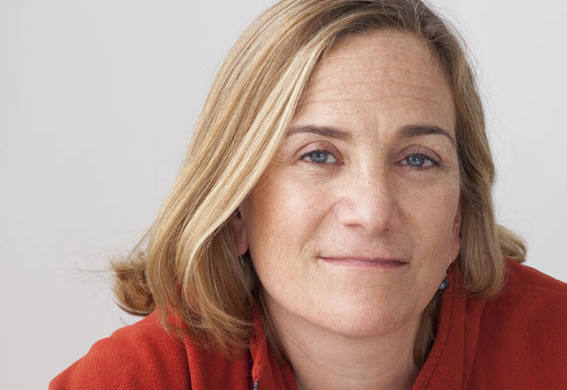 WITMORE: Tracy Chevalier is the author of At the Edge of the Orchard, The Last Runaway, and, most famously, Girl With a Pearl Earring. Her latest book, New Boy, is part of the Hogarth Shakespeare series, published by Random House in 2017. She was interviewed by Barbara Bogaev. “The Property of Youth And Maidhood” was produced by Richard Paul. Garland Scott is the associate producer. It was edited by Gail Kern Paster and Esther Ferington. We had help from Melissa Marquis as NPR in Washington and Angie Hamilton-Lowe at NPR-West in Culver City, California. Shakespeare Unlimited comes to you from the Folger Shakespeare Library. Home to the world’s largest Shakespeare collection, the Folger is dedicated to advancing knowledge and the arts. You can find more about the Folger at our website, folger.edu. For the Folger Shakespeare Library, I’m Folger Director Michael Witmore.